The young picture book artist talks about the backstory of the greatest superhero story of 2017. 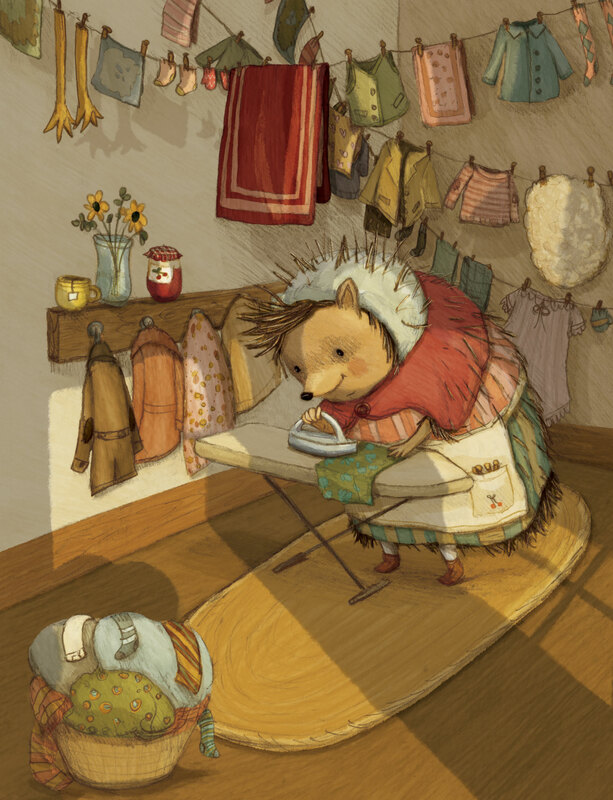 In recent years, artist Stephanie Graegin has established herself as one of the best young picture book artists. If anyone wasn’t convinced of her talents, this year saw the release of three picture books that Greagin illustrated, including one based on the Elvis Presley song Love Me Tender, two novels that she illustrated, in addition to her debut as a writer and illustrator, Little Fox in the Forest. The sheer volume of work she’s able to draw is impressible, but she is also very good, and there is so much detail and nuance in her work to pour over. From a day in the life of a city park to what it means to have a relative suffering from Alzheimer’s to the nature of being a collector to the small joys found in everyday, Graegin finds a way to blend a playful style with the profound in a way that brings these humanistic stories to life. Moreover she does so with such care and detail, as though each page is a world. This summer saw the release of Super Manny Stands Up! which was written by Kelly DiPucchio and illustrated by Graegin. It is a story about the power of imagination and the way that it can influence and change lives, and is, quite simply, one of the best and most important superhero stories of the year. Super Manny is the hero we need and thankfully Stephanie Graegin is one of the artists we have. She answered a few questions about how she works, and how her superpower seems to be not sleeping. I always like to start with the question, how did you come to art and what got you interested in doing this? I’ve been drawing and making book-type things since I was a child. Drawing has always been a favorite activity of mine. When I was 8 I made a book about beavers playing baseball titled The Magic Baseball Bats. It won a competition at my school, and got me thinking from a young age that this is something I could actually do. As an undergrad I studied general Fine Arts, and in graduate school the focus was Printmaking. Throughout my post secondary education I was making narrative images, but after graduation I went back to making images specifically suited for children’s books. So tell me about Super Manny Stands Up! My agent, Steven Malk, saw a sketchbook drawing I did of a raccoon dressed as a vampire and intuitively he thought it could be the cornerstone of a picture book character. I didn’t have a story tied to this character, so he showed the drawing to the author Kelly DiPucchio – also one of his clients. She was immediately inspired by it and in time she came up with the story. 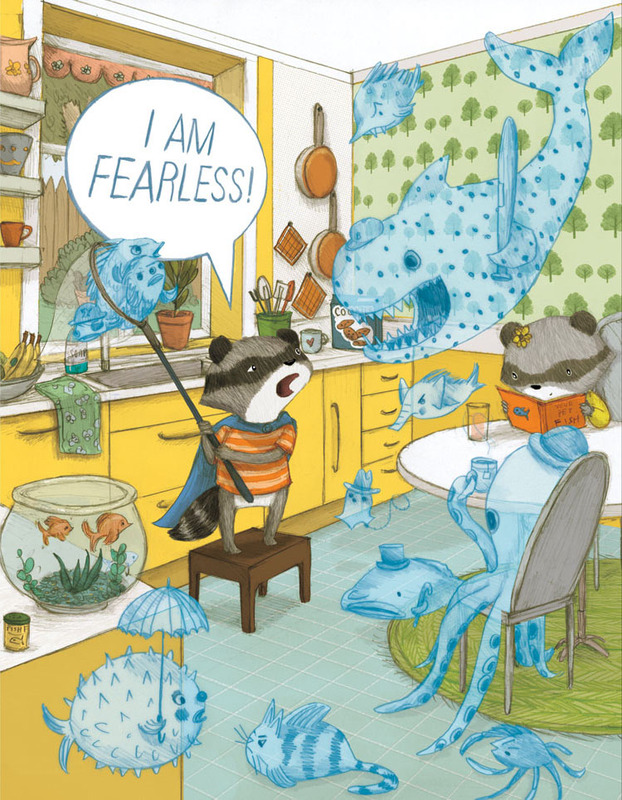 Being a picture book genius, Kelly saw that this little raccoon shouldn’t be wearing a Halloween cape, but a super hero cape. It was an amazing experience to read a manuscript that grew from that one little sketch! Kelly created an imaginative and thoughtful character—one that is simple in concept but drenched in emotion. At home Manny loves wearing different colored superhero capes and fighting off imaginary creatures, while at school he wears his “invisible cape”. 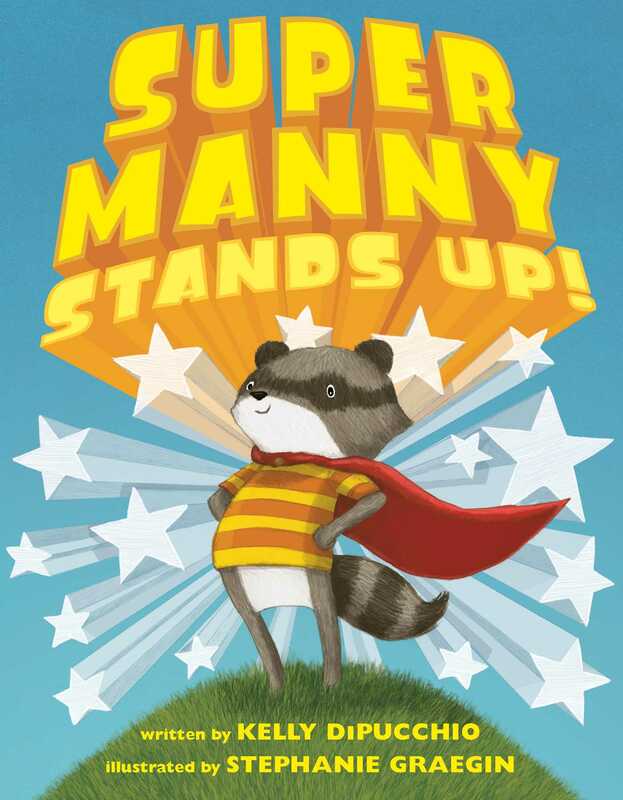 Manny realizes he can be a real-life superhero by standing up for what he thinks is right. The theme of standing up for those who are bullied is a concept that is timeless and humanist. 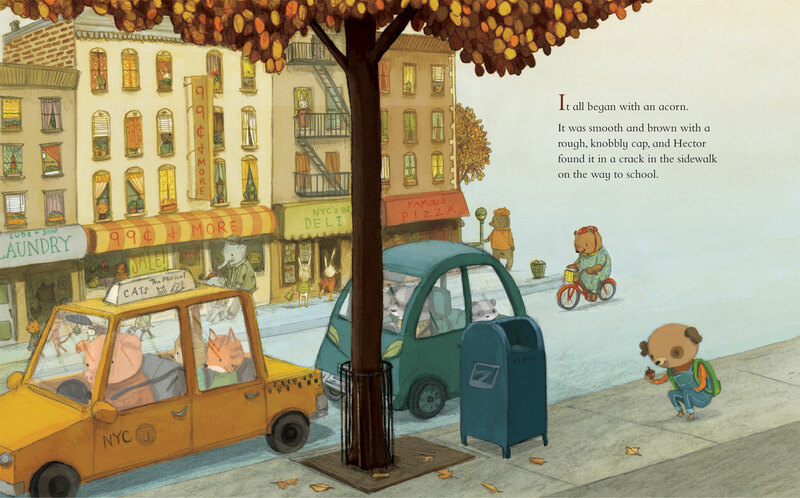 How much say do you as the illustrator have in a typical picture book? Manny may have always been a raccoon, but what about the other characters or how the book looks? Usually I have a good deal of influence on the look of the book and characters. For Super Manny Stands Up! we knew that Manny was a raccoon – because of the original inspiration drawing – and I was able to choose all the other animals in the story because they were not specifically named in the manuscript, they were only referred to as “Tall One”, “Small One”, etc. Can you walk us through your process in terms of how you work on a picture book? When illustrating a book I didn’t write, I first read the manuscript multiple times so I can almost recite the story by heart. I then start drawing. I’ll start in my sketchbook, just generating images and seeing what feels right for the story. As part of my process I’ll ask myself questions about the characters, figuring out who they are. From there I start making thumbnail sketches of the book layout. I draw these quickly on post it notes to explore compositions and the visual flow of the story. When I feel I have a solid, coherent structure I scan them in and send them to the book’s editor and art director. They will come back to me with notes and suggestions, which I take and use to create slightly bigger, more developed drawings. These go back to the editor and art director again and they provide more direction. It’s a back and forth collaboration with the drawings gaining detail and size with each iteration. Once the editor and art director give their approval, I start the final art. The final art is created from pencil drawings scanned into and then colored in Photoshop. 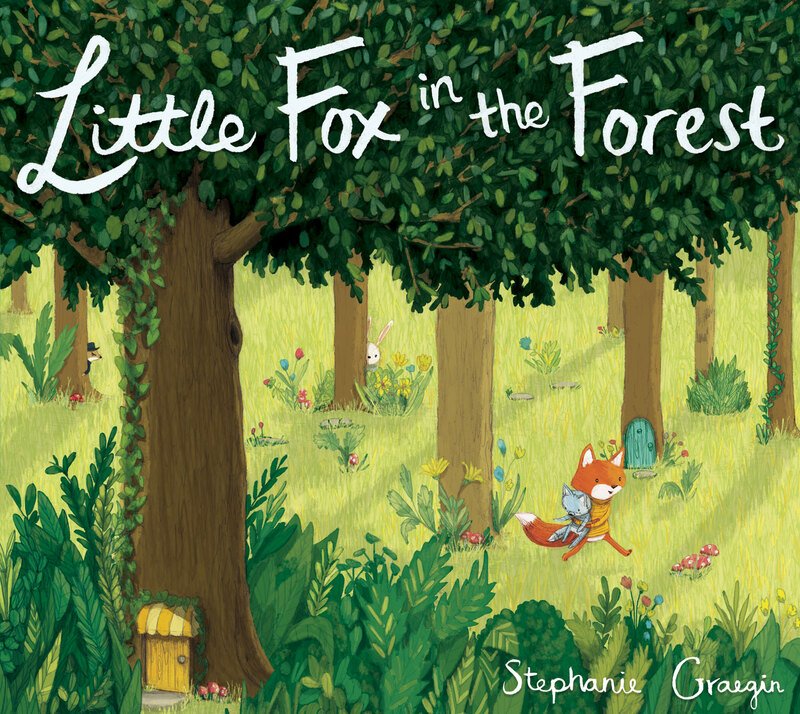 This year also saw your debut as a writer and artist, Little Fox in the Forest. Had you been working on the book or thinking about this or something else for a while? I had been working on the story for a little over a year in between illustrating other books. I gave a mock up of the book to my agent way back in 2014. He gave it to my editor, Lee Wade at Schwartz & Wade (Random House), luckily she saw enough promise in those scribbles to take it on. We went through many rounds of revisions and also paused to work on another book together in between – The Lost Gift by Kallie George. We finally finished up Little Fox in the Forest in the summer of 2016. Did you set out to make a wordless story? I did set out to make a wordless story. I’m much more comfortable drawing than I am writing, so to work wordlessly felt like a natural way for me to tell a story. It also allowed for me to really dig in with details, which I love. Digging into details is something you clearly love and you seem very conscious of depicting a complicated, rich world with characters who could each be the subject of their own book but are just in a corner of the page. I always go back to Richard Scarry who could do that so well, and you seem be very conscious about approaching pages in that way. It’s funny that you mention Richard Scarry—when I was a kid I was obsessed with his Busytown books. In every one of his scenes there’s a main idea—but within that there are all these little sub-stories happening. I loved poring over those details. When I was making Little Fox in the Forest I wanted to create a book that I would have loved as a kid. I wanted my book to be full of fun little details, interesting background characters and something that you’ll keep coming back to again and again. The type of book where you discover something each time you read it. I had a list of background characters that I wanted to include and I made sure they repeatedly entered the story: the red bird, the mean weasel, a panda bear in a floral dress, and a dapper duck to name a few. I enjoyed going through the sketches and adding more and more details with each round of revisions. What is it about anthropomorphic animals that you love? Anthropomorphic animals can become characters whom anyone can identify with regardless of race, gender or age. They are also incredibly fun to draw as they don’t have to follow the same rules of proportionality or structure that, say, a human child would. Animals can wander the world without a parent and can serve as analogues for any number or personality types. You also have a new book out in November, Love Me Tender, based on the Elvis Presley song. Writing a book from the song lyrics seems like a different kind of challenge. At first thought, using songs lyrics as the basis for a book seems unusual and maybe incompatible. But most songs are really just poems and in the case of Love Me Tender, it’s a very affectionate poem, in this book it’s a love note from parents to their young but growing children. The song’s lyrics, which are the book’s text, posed a challenge in that they are impressionistic and lack a linear narrative. 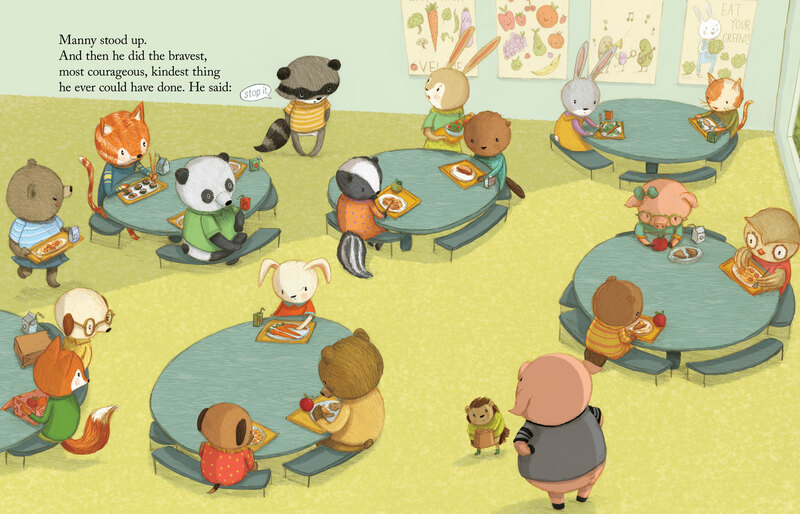 Working closely with my editor and art director at Penguin, we were able to map out an arc that follows four babies of diverse backgrounds from their leaving the hospital as newborns to their first day of preschool. The babies grow and milestones like crawling, walking and talking take place in line with the change of seasons. I find it fascinating how lyrics that I’ve heard countless times can take on new meaning. You also tweeted out in September that you had just finished a new book. Do you want to say anything about it? I just finished the art for a picture book that will be out next year, The Thank You Book, written by Mary Lyn Ray. Its tenderly composed text talks about being grateful and appreciating nature, friends and family. It was such a joy to illustrate and really felt like a playground for my pencil. So this year Little Fox in the Forest and Super Manny Stands Up! 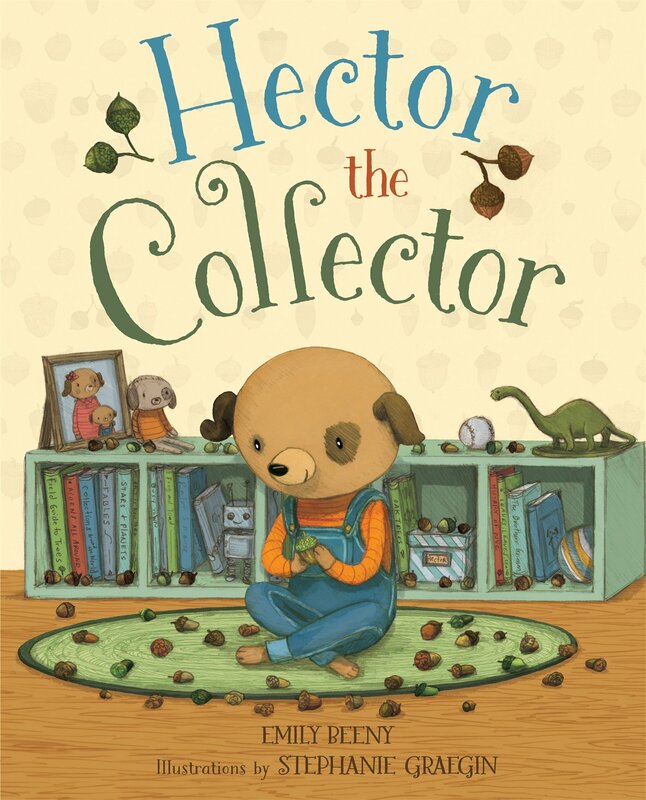 came out, along with Hector the Collector and Love Me Tender, you did illustrations for the two Heartwood Hotel novels with a third out in February – have you slept this decade? Author Alex DuebenPosted on October 9, 2017 Categories InterviewsTags books, interviews, Kelly DiPucchio, Stephanie Graegin, Super Manny Stands Up!